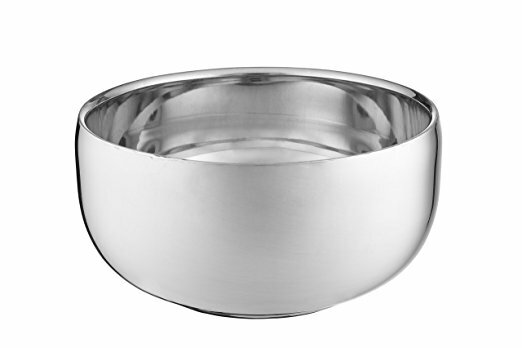 Perfecto's Stainless Steel Shaving Bowl is a shaving soap dish is large enough to accommodate most shaving soap size and shape, and has room to use your shave brush to build a rich, thick, luxurious lather. For those who like to shave in the shower or bath, this is a lightweight and durable bowl perfect for holding while shaving without the bowl becoming too heavy. Moreover, being a stainless-steel shaving bowl, you can move it with confidence because it will not break like ceramic or marble shaving bowls. The Perfecto shaving mug has already become a staple in hundreds of people’s shaving kits and for good reason: It never breaks! That’s why we feel confident enough to back it up with a WARRANTY (as per Amazon policy), although it is highly doubtful that you’re going to need it!